Paul-Erik has* more than a few areas of practice. He has tried commercial, competition, intellectual property, employment, and criminal cases, not to mention having acted as counsel in commercial and sports law arbitrations and administrative hearings. He has been recognized as a Precedent Setter not only for his for breadth of practice, but also because he has more than a dash of § teaching experience at the University of Toronto in law and economics, international law, and public law. Whatever the problem, Paul-Erik solves it with his talent‡ , know-how and experience, which allow him to analyze the case from all angles and to cross-examine the toughest of witnesses. .
Paul-Erik’s commercial litigation practice focuses on class actions, competition law, intellectual property matters, complex commercial disputes, and professional liability.His clients include major technology companies, financial institutions, pharmaceutical companies, and franchisors. Paul-Erik has extensive trial experience, having acted as counsel in trials involving a number of industries and subject-matters, including a dispute over the implementation of a software package, an intellectual property matter relating to a pharmaceutical product, a misleading advertising case, and several contractual disputes. He has appeared repeatedly before both the Supreme Court of Canada and the Ontario Court of Appeal. Paul-Erik also has extensive experience with regulatory and public law proceedings, having represented clients in professional discipline committee proceedings, commissions of inquiry, and before various administrative tribunals. Paul-Erik has acted as an adjunct professor at the University of Toronto Faculty of Law. He is currently a sessional lecturer in the graduate program in the Department of Economics at the University of Toronto, where he teaches Economic Analysis of Law. He has published articles on a variety of legal topics, including contracts, class actions, competition law, and constitutional law. 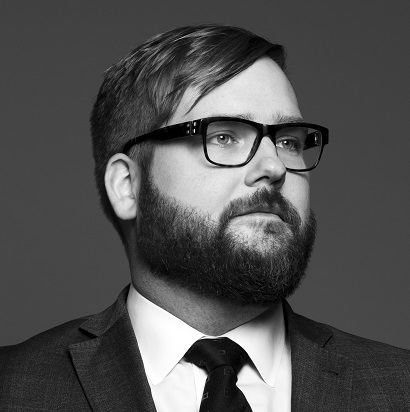 Prior to joining Lenczner Slaght in 2010, Paul-Erik graduated as the Gold Medalist from the University of Toronto Faculty of Law, and then clerked for Madam Justice Louise Charron at the Supreme Court of Canada. Counsel to a student in university discipline proceedings relating to an alleged breach of the Student Code of Conduct pertaining to alleged sexual misconduct. Counsel to an individual in a four week jury trial of first-degree murder charge. Counsel to an individual seeking election to a school board in connection with an application under the Municipal Elections Act. Counsel to electors in successful proceedings before the City of Toronto Compliance Audit Committee to commence a compliance audit of election campaign finances and prosecution of a former city councillor. Counsel to the elector in successful proceedings before the City of Toronto Compliance Audit Committee to commence a compliance audit of election campaign finances and prosecution of a sitting city councillor. Counsel to a youth charged with sexual assault. The youth was acquitted following a trial. Counsel to the plaintiff in an action for wrongful termination of a consulting services agreement. Paul-Erik Veel spoke at the Canadian Institute of Chartered Business Valuators' Expert Witness Symposium on November 19, 2018. His panel discussed the roles and responsibilities of an expert witness. Paul-Erik Veel spoke at Thomson Reuters' "In Medias Res: Preparing Yourself for the Future of Law Practice" program. His panel discussed the incorporation of legal project management (LPM) into daily practice to enhance efficiency and client/lawyer satisfaction. Paul-Erik Veel and Colin Johnston acted as faculty advisors at the Law Practice Program Trial Advocacy Workshop on October 12, 2017. Paul-Erik Veel's article 5 things you can do on your first day of law school to build your career appeared in PrecedentJD Magazine. Paul-Erik Veel served as a judge at this year's Wilson Moot on February 25, 2017. Paul-Erik Veel acted as a trial advocacy advisor at the Law Practice Program Trial Advocacy Workshop on December 15, 2016. The nine judges who sit on the Supreme Court are the ultimate guardians of individuals rights guaranteed under the Charter. Those judges define the contours of those rights and order remedies to vindicate breaches of those rights. Paul-Erik Veel's article Incommensurability, Proportionality, and Rational Legal Decision-Making appeared in Volume 4 of the Law & Ethics of Human Rights. Paul-Erik Veel co-authored the article Property Rights and Development: The Contingent Case for Formalization that appeared in Volume 30 of the University of Pennsylvania Journal of International Law. Paul-Erik Veel's article Carbon Tariffs and the WTO: An Evaluation of the Feasible Policies appeared in Volume 12 of the Journal of International Economic Law. Paul-Erik Veel's article A New Direction in the Interpretation of Section 15(1)? A Case Comment on R. v. Kapp appeared in Volume 6 of the Journal of Law & Equality.